Are you looking for honest and reliable Cadillac repair in Boonville and Columbia? Look no further than Midwest Autoworx. For master-level auto mechanics and exemplary customer service, we are the team that truly has your back. Because we want to be your premier auto repair shop for Buick repair, our team makes an effort to exceed your expectations. Our team of auto mechanics at Midwest Autoworx have been servicing Cadillacs since we opened the doors to our facilities. We understand that your experience at other auto repair shops and dealerships might have been stressful and impersonal. Your time with us at Midwest Autoworx will be different. We make an effort to treat you with the utmost integrity. You will feel informed and comfortable throughout the entire auto repair process. We’ll get your Cadillac back on the road time in no time! We do six months interest-free financing with approved credit. Comfortable waiting area with gourmet coffee and free WiFi. 3-year/36,000-mile warranty on parts and labor. We invest in high-tech tools, equipment, and diagnostics. Complimentary shuttle service and loaners cars. 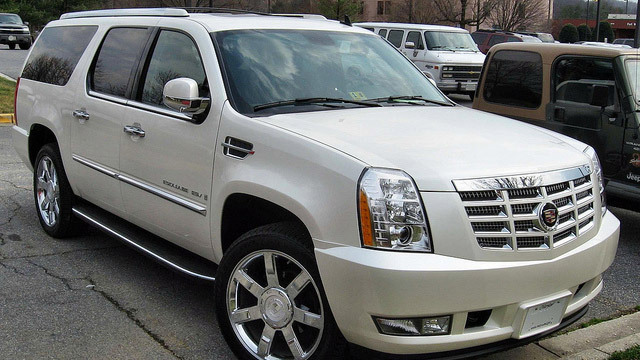 For Cadillac services, call Midwest Autoworx or schedule an appointment online. We’re located at 2001 Rangeline Street in Columbia, MO 65202 and 1300 W. Ashley Road in Boonville, MO 65233. Our professional and qualified auto mechanics will provide you with the most quality Cadillac auto repair in the region. We look forward to your visit!